When Frances and I were organising the Smith conference in March, one of the speakers we hoped to invite was Glenda Jackson. Jackson played Smith in the 1978 film Stevie, and in the biography of Smith by Jack Barbera and William McBrien, she described meeting the poet. Stevie Smith had, she recalled, ‘no protective curve’ of the kind that most people have on first acquaintance. At the time, Jackson – who, not content with winning two Oscars, had also forged a successful political career – hadn’t long stepped down from her role as MP. So I sent a letter to the House of Commons to be forwarded to her, with an invitation to come and speak at the Smith conference. I didn’t expect anything to come of it. But a few weeks later, I answered a missed call on my phone, as I was walking back to my college, and nearly fell to my knees when that inimitable voice announced on the other end: ‘This is Glenda Jackson’. But Jackson agreed to participate in another project: Suzie’s animation. Having received generous permission from Smith’s executor to animate Smith’s drawings, we were deeply involved in conversations about how to bring ‘The Blue from Heaven’ to life. I love ‘The Blue from Heaven’. It is an incredible poem: it spans so many moods, often in the same moment, and that image of the ‘peculiar towering cornflowers’ seems to have sprung fully-formed out of some now-lost myth. Glenda Jackson, with her experience of playing Smith and remarkable vocal range, was perfect for the voiceover. Suzie and I couldn’t believe our luck. So on a hot Tuesday morning, we made our way across London to meet Glenda Jackson in a small studio in Woolwich. We’d struggled to find a taxi, and were running late. When we arrived, Glenda was already there, drinking a cup of coffee in the sunny studio garden. Over on the rockery, a patch of cornflowers was growing. I took that as a good sign. Two cats followed each other down the stone steps. ‘Peggy’ was the Lion Aunt’s name for Stevie, who’d been born ‘Florence Margaret’ before she chose her own famous moniker. Glenda returned to this story a few times. 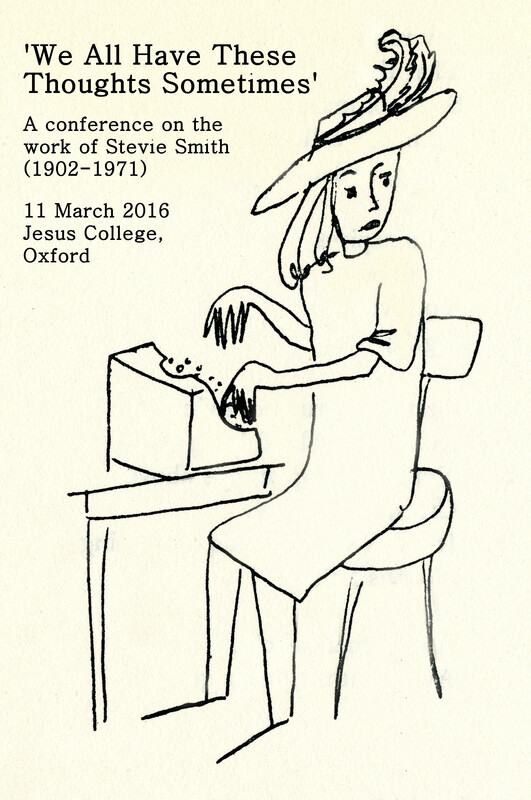 What struck her about Smith was how successfully the poet could ‘fulfil all the requirements of being a suburban niece’ – unobtrusively nurse her aunt, drink her midmorning sherry – and then go into her room and write some of the most unique poetry of the twentieth century. Glenda finished her coffee, stood up, and suggested we make a start. We followed her down into the basement. Suzie and I sat on a leather sofa, very close together, while Mike the studio owner set Glenda up in the recording booth. We couldn’t see her, but a few moments later, Glenda’s extraordinary voice – deliberate, wicked, sensuous, assured – filled the room. I was electrified. She read the poem straight through, without error. Suzie whispered to me that it was the best rendition of the poem she’d ever heard – including, sacrilegiously, Smith’s own recorded performances. We took some photos. I am grinning, awkward, flustered. Glenda Jackson is entirely composed.